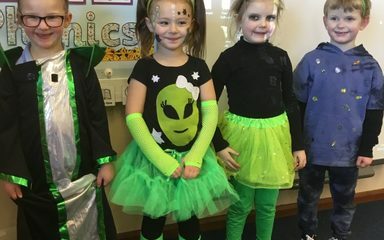 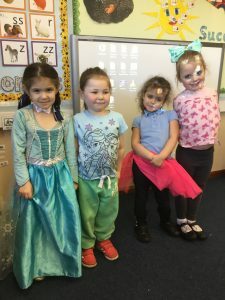 We had a fantastic day in Reception dressed up as aliens! In the afternoon we had an alien tea party, we had a dance and played alien themed games like pin the eye on the alien! 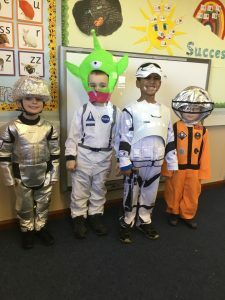 What a lovely end to our space topic. 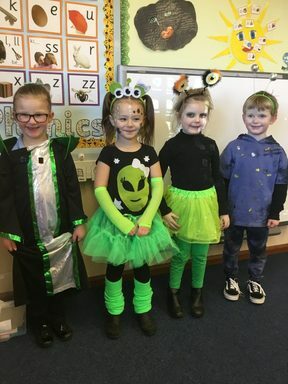 You all looked fantastic in your costumes!